Son Lux unveiled the new video for Lost It To Trying (Mouths Only Lying) taken from the recent Alternate Worlds EP, which is out now via Joyful Noise Recordings. 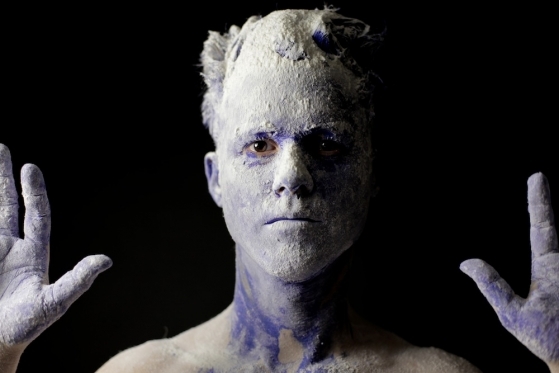 Son Lux is set to play a series of EU tour dates later this year. The tour follows the May 27 release of the Alternate Worlds EP, which featured reimagined versions of the tracks from Lanterns. In addition to Build A Pyre (Begin Again), Alternate Worlds features a collaboration with Lorde on Easy (Switch Screens) which came to be after the New Zealand breakout star began covering the original version live. Released to much praise late last year, Lanterns sees Son Lux (aka Ryan Lott) at the helm of an impressive ensemble of instrumentalists and singers including Chris Thile (The Punch Brothers), Peter Silberman (The Antlers), DM Stith, Lily & Madeleine, Darren King (Mutemath), Ieva Berberian (Gem Club) and yMusic (Dirty Projectors, Bon Iver). Meditative but heaving with energy, Lanterns finds a peculiar congruency between futuristic soul and ancient sentiment. Driving orchestral pop (Lost It To Trying, No Crimes) is placed alongside creepy minimalism (Pyre, Enough Of Our Machines), often starkly juxtaposing densely layered arrangements with Lott’s intimate voice. Beyond releasing Alternate Worlds and worldwide touring, Son Lux released an album with Sisyphus, his collaborative project with Sufjan Stevens and rapper Serengeti, whose self-titled debut was released on March 18 via Joyful Noise/Asthmatic Kitty. Additionally, Lott is a featured songwriter, producer and performer on Troubled World off WinterSpringSummerFall, the new mixtape from Beyonce producer, BOOTS. Son Lux also recently scored the upcoming film The Disappearance of Eleanor Rigby, due out this September. Lott, equal parts producer and composer, has been delving into further collaborations as Son Lux, with more details to be unveiled in the coming months. Following triumphant sets at both Latitude & Longitude Festivals this month, prompting The Line of Best Fit to declare Son Lux “…one of the most exciting live artists of his generation”, the New York song-smith shares a new video for Lanterns Lit. The track is taken from last year’s full length album for Joyful Noise Recordings, Lanterns and this new clip was directed and produced by SJ Finlay with visual effects by Nisha Kumkeaw and colouring by David Tomiak (Brass Tacks Films). About the process of creating the video, Finlay said: “This music video was made while shooting promotional materials for Hope for the Nations as well as a short film to help children at risk in South East Asia.” To keep updated about the release of that film, follow #ChildrenofChange. Son Lux will embark on West Coast US tour starting on September 19. After those shows the live group, which sees Ryan Lott accompanied by Rafiq Bhatia on guitar and Ian Chang on drums, will start a string of European dates, beginning at the Soy Festival in Nantes, France and ending at the Circolo Degli Artisti in Rome, Italy. The tour follows the May 27 release of the Alternate Worlds EP which featured reimagined versions of the tracks from Lanterns. In addition to Build A Pyre (Begin Again), Alternate Worlds features a collaboration with Lorde on Easy (Switch Screens) which came to be after the New Zealand breakout star began covering the original version live. Released to much praise late last year, Lanterns sees Son Lux (aka Ryan Lott) at the helm of an impressive ensemble of instrumentalists and singers, including Chris Thile (The Punch Brothers), Peter Silberman (The Antlers), DM Stith, Lily & Madeleine, Darren King (Mutemath), Ieva Berberian (Gem Club) and yMusic (Dirty Projectors, Bon Iver). Meditative but heaving with energy, Lanterns finds a peculiar congruency between futuristic soul and ancient sentiment. Driving orchestral pop (Lost It To Trying, No Crimes) is placed alongside creepy minimalism (Pyre, Enough Of Our Machines), often starkly juxtaposing densely layered arrangements with Lott’s intimate voice. Son Lux also recently scored the upcoming film The Disappearance of Eleanor Rigby, due this September. Lott, equal parts producer and composer, has been delving into further collaborations as Son Lux with more details to be unveiled in the coming months. Following a sold-out show at XOYO two weeks ago and the vinyl release of his new EP Alternate Worlds last week, Son Lux has unveiled a striking video for track, Build A Pyre (Begin Again), from the record. Alternate Worlds, the new EP from producer/composer Son Lux reimagines four songs from his recent album Lanterns and includes a collaboration with Lorde. These exquisite reinventions traverse unfamiliar terrain within remembered landscapes. Their world is both alien and familiar. After a triumphant European tour, including an intense sold out show at The Lexington in London, and with a wobbly YouTube video of Lorde covering his last single, Easy, doing the rounds, Son Lux has revealed more plans for this year plus a hard-hitting new video for Alternate World. Alternate World is the opening track of Son Lux’s new record Lanterns, out now on Joyful Noise Recordings. The video shows a prickly and haunting story worthy of the power Son Lux captures within the track. Directors Truman & Cooper add: “The film was shot last December in Normandy. We really wanted to situate the story in a moody, bleak and hazy environment. We love the off season atmosphere over there, its really melancholic. We think that watching the couple wander in this environment would reinforce the feeling of loneliness”. In addition to Son Lux’s previously announced headline show at London’s XOYO on May 21 and performance at Latitude Festival, a number of regional dates have now been added. Son Lux has also recently reignited his work with Sufjan Stevens and Serengeti under the name SISYPHUS (previously called s / s / s), more information here. Son Lux has revealed a beautiful new video for album standout track Pyre. The song is taken from his album Lanterns which received a multitude of praise when it was released earlier this year through Joyful Noise Recordings. Son Lux will embark on a European tour throughout January including two UK shows. Directed by The Craig Brothers and featuring Son Lux and dancer Bennyroyce Royon, the video magically mirrors Ryan Lott’s explosive sound with layers of paint appearing on bare human bodies. The video is beautifully shot helping to highlight the simplicity yet intensity that this song has. Equal parts producer and composer, Son Lux (aka Ryan Lott) bridges an unusual gap between old-world music discipline and next-level experimentation. Meditative but heaving with energy, Lanterns finds a peculiar congruency between futuristic soul and ancient sentiment. Driving orchestral pop (Lost It To Trying, No Crimes) is placed alongside haunting minimalism (Pyre, Enough Of Our Machines), often starkly juxtaposing densely layered arrangements with Lott’s intimate voice. In recent past Son Lux has gained notoriety both for his s/s/s project (with Sufjan Stevens and Serengeti) and for being named NPR’s Best New Artist of the Year. His third full-length album, and his first for Joyful Noise Recordings (Kishi Bashi, Sebadoh, etc. ), positions Son Lux at the helm of an impressive ensemble of instrumentalists and singers including Chris Thile (The Punch Brothers), Peter Silberman (The Antlers), DM Stith, Lily & Madeleine, Darren King (Mutemath), Ieva Berberian (Gem Club) and yMusic (Dirty Projectors, Bon Iver). Son Lux will tour Lanterns across Europe in January. 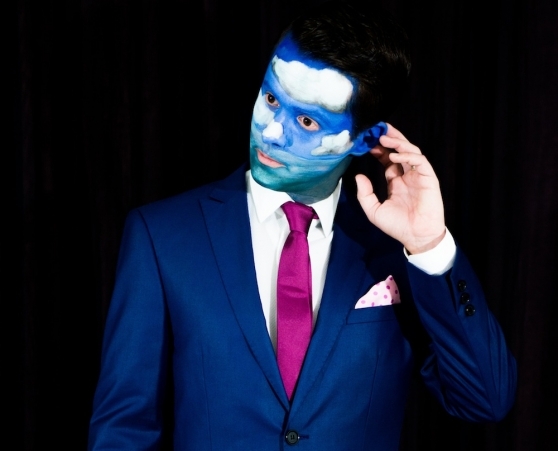 All tour dates will feature a full band backing Ryan Lott (aka Son Lux) with drummer Ian Chang (Landlady, Matthew Dear, People Get Ready) and guitarist Rafiq Bhatia who has been classed as ‘the most promising improvisers in the United States today’ by the New York Times.